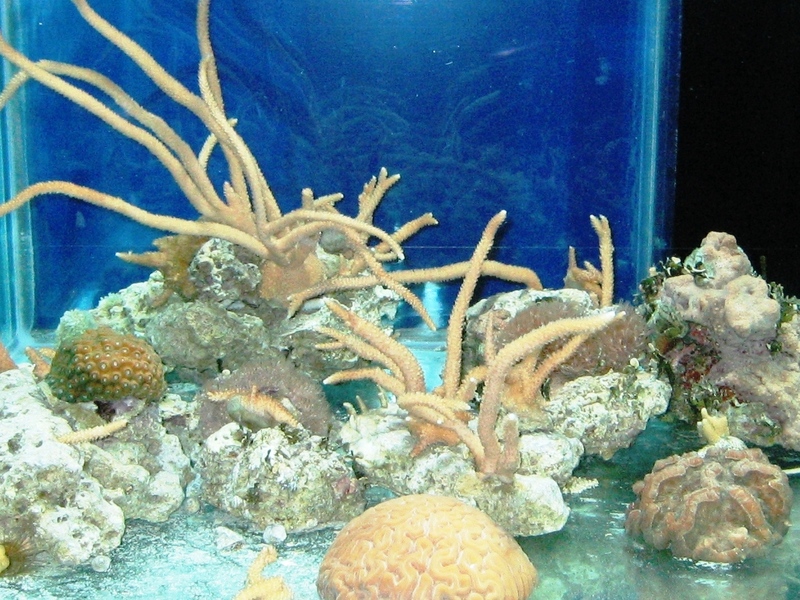 Why is your home reef tank “nicer” than the one at your local public aquarium? This is a valid, pertinent question, and one that actually has been around for many years, but isn’t always confined to reef aquariums. The answer is usually not what the questioner might think. Questions of this type always comes from intermediate to advanced hobbyists and take issue with why reefs (or cichlid exhibits, or discus tanks, or plant tanks or arrow frog displays) at public aquariums are not as “good” as the one they have in their own homes. I can fully understand what prompts these questions – hobbyists see the results of their own efforts in their home aquarium and cannot reconcile with the idea that a similar exhibit set up by aquarium professionals isn’t as “good”. 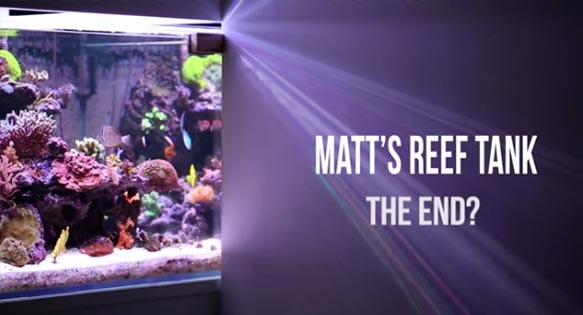 In virtually every case of a public aquarium reef exhibit being perceived as “lesser quality” than a home aquarium, the reason is the result of a simple cost / benefit decision. On the cost side – resources for equipment, animals and supplies are generally not the limiting factor for public aquariums, neither is staff competency. What is limiting is time. Pure and simple, it comes down to the amount of time the public aquarists can devote to their reef exhibit(s). If a public aquarist can develop a reef tank that will “wow” 99.9% of their visitors, they simply cannot spend ten times that effort to produce a reef exhibit that will also wow the remaining .01% – the advanced home aquarists. Most public aquariums have ample budgets for equipment, they have large exhibits and their staff are highly trained and motivated. In fact, most of their staff are advanced hobbyists themselves. So why would a person’s 50 gallon reef in their living room look nicer than at a nearby public aquarium? It all hinges around that resource – TIME. Home aquarists are limited by funding, not by time spent on their tanks. They usually have much smaller tanks because that is all they can afford (and besides – they don’t need to accommodate 15 people viewing their tank at the same time). The aquarist in charge of this display is also responsible for a major coral propagation system off exhibit, plus has three other marine exhibits to care for, as well as a major insect/arthropod exhibit (with 20+ displays), plus has to help out with all other routine duties at the facility – feeding, maintenance, some custodial tasks, etc. If I had the resources to free his time up for even a half hour a day, the reef would look a little nicer. The point is though, that with less than five minutes of time per day and less than one and a half hours per week we have a reef display that literally stops visitors in their tracks. If I allocated him that extra time, I would need to adjust things by pulling something else out of the collection such as our giant spider crabs, or stick insect displays – which I am loathe to do because they are every bit as important as the reef exhibit is to our mission of inspiring our visitors about the natural world. There is also something to be said for “beauty is in the eye of the beholder”. A home aquarist might overlook a deficiency in their home aquarium that a public aquarist could not. The most common examples of this type is the home aquarist’s tank with huge powerheads visible in plain sight, overflow boxes hanging in the back, exposed lights, or coralline algae growing on the front viewing window. All of these problems are avidly avoided in public aquariums, yet home aquarists frequently relax their standards and allow them in their own aquariums. When I was a SYSOP on CompuServe back in the mid-1980’s, I coined the term “PA Bashing” – or “Public Aquarium Bashing”. People would post about a deficiency they perceived with some public aquarium exhibit and then revel in how their tanks were better, etc. Interestingly, one of people who was highly critical of the quality of most public aquarium reef displays back then ended up working in the public aquarium field, and his criticisms have mostly been silenced. As I mentioned, this disparagement of public aquariums hasn’t always focused on reef tanks. I’ve had hobbyists critical of the fact that some of my cichlid ID labels carry older nomenclature, while they are using newer names themselves. I once had a hobbyist write me a letter chastising me for using Asian plants with a South American fishes display (never mind that using live plants in and of itself is a major feat for large public displays). In the 1930’s, a hobbyist club actually took care of a series of small tanks at my aquarium facility, presumably because the staff did not have the time to do as well as they could. Don’t forget that while many advanced home aquarists have fabulous reefs, many, many more do not. There are huge numbers of home aquariums that consist solely of a 29 gallon tank filled with Aiptasia, Cyanobacteria, a bubble coral pulling out of its skeleton and a pile of “live rock” that has about as much living on it as a cinder block! In fact, this scenario is common enough that I no longer accept home aquarist’s reef tank animals as donations (like when they are moving, etc.) without first seeing a photograph of the tank and its animals. While not naming names, there are some stellar reef exhibits at public aquariums around the country. One in New York far surpasses the quality of ANY home aquarium I’ve ever seen, yet it is 20,000 gallons! A small zoo aquarium has kept some Atlantic coral colonies growing for over 20 years. An international consortium of public aquariums is working on methods to conserve Atlantic Acropora corals. Two huge reef aquariums have opened at public aquariums in the US during the past few years, but these will take time to mature. With all that said, there are of course, some poor public aquarium reef displays. These are generally seen in smaller aquariums, or in aquariums that have a stronger focus on some other facet of the underwater world. Could these exhibits be improved? Certainly! Will they? It ultimately depends on how that facility seeks to disperse its human resource allocations.